For the past two years, this Huffington Post column has enabled me to share my point of view, and that of Safe Horizon, on issues of violence in our society. Safe Horizon is the nation’s leading victim’s services organization, and as its CEO, I certainly don’t do this work alone: I work in partnership with our national experts. Today I offer this space, with gratitude, to Dr. Lisa O’ Connor, Safe Horizon’s deputy program officer, who has unique insight about an issue not often talked about: the burden that is placed on black women after high-profile deaths of black men. With the shocking acts of violence that transpired last week, this has been an incredibly difficult time. As the Deputy Program Officer for Safe Horizon, I know that tragedies of this magnitude affect us all. Whether or not we suffered a personal loss, our humanity is diminished as we mourn together, a wounded nation. Let me start this piece by sharing my sincere condolences to the families and loved ones of ALL the lives lost last week in Louisiana, Minnesota, and Texas. We must humanize hurt and grief for all those family members and friends in mourning right now. 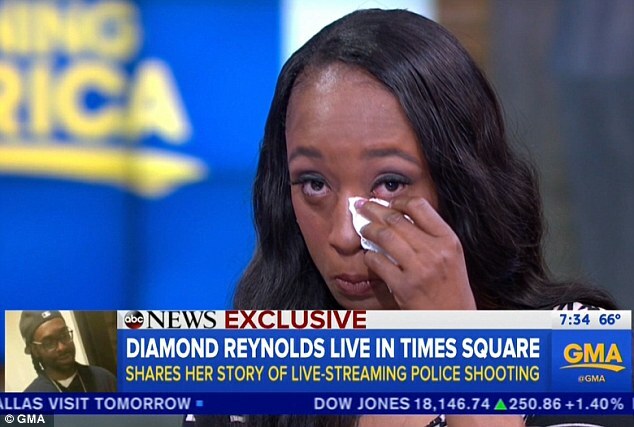 I recently came across the video of Philando Castile’s girlfriend, Diamond “Lavish” Reynolds, expressing her condolences to the families of those officers who tragically lost their lives in Dallas. During a time when these violent tragedies across our nation can serve to further divide us, her words highlight a critical message that I wish to uplift: let’s instead share compassion. As a black woman, and as a victim advocate who understands how difficult navigating grief can be, especially after the death of a loved one, I wanted to reach through the TV screen and let her know that while I deeply deeply appreciated her words, she in no way owed us that message. The hard truth is that when black men are killed, it is often black women (wives, girlfriends, mothers and daughters) who are left behind to pick up the pieces. Add the notoriety of the death of their loved one and these women are propelled into roles as activists, advocates, and spokeswomen, so often fielding questions about the character of their now-deceased loved ones (and even their own character) or being met with sensational journalism. Unfortunately, the choice to relive her most recent horror is no longer hers. Her video is replayed over and over again on TV, shared on social media and transcripts printed in newspapers nationwide all while we continue to seek her words in interview after interview. Recently, ABC also interviewed Diamond. She shed tears as they replayed footage of what happened to her boyfriend Philando and the news anchor asked her, “You and your daughter have just been so strong. How are you doing?” And throughout that interview she expressed that she just wants justice. Despite the label of “being strong” that is placed on her, her pursuit of justice, quite frankly, can be a burden. This burden can be especially complicated for black women who, throughout history, have been expected to be strong figureheads to keep families stable. The message that has become an internal mantra for so many of us is that “there is no time for grief and pain.” Our survival and the survival of our families depends on that strength. For Diamond, dealing with the aftermath of her boyfriend’s high-profile death can feel like the survival of the black community now rests on her shoulders in her new assigned role as an activist and advocate. What a heavy burden to carry. And carrying that burden comes at great cost as we expect her to be a voice of pain and justice -- perhaps at the expense of her grieving which becomes a very public process that no one can prepare themselves for. My sisters, like Diamond, must be met with support and compassion, given the space to grieve and mourn, and do the things they need to do to begin their healing, whatever that may mean for each of them. Historically, black women have not been afforded the luxury of grief and mourning, we have had to silently grieve our losses while still maintaining the strength and resilience to strive. And we have even seen that sense of resilience already within Diamond’s 4-year-old daughter. According to Diamond, “My daughter is an angel. She’s definitely […] stronger than I am. She hasn’t cried or anything. She just talks all positivity and keeps telling me. ‘It’s gonna be OK.’” We know in these cases that children are deeply affected, too. For especially young children, like Diamond’s daughter, they are unable to truly understand the magnitude of what is happening. Instead, they may try to be a source of strength for their grieving parent while not fully being able to process what has happened and how their own young life has changed. My wish for all of those who have lost their fathers, sons, husbands, boyfriends, friends, partners in the horror of the last few days is that they find the beginning of peace and solace. The moment you lose a loved one, your life is forever changed. And despite someone’s past, everyone deserves the right to grieve and develop a new life absent of that loved one. We, as a diverse community, must let Diamond know that she too deserves her time to grieve and to navigate the next few hard months in her own way. As best we can, we must help lift that pressure to be strong and resilient when sometimes grieving may be all she can do to get through the days, hours and minutes. What is happening in our country right now is extremely complicated and we are all grieving while navigating very difficult and complex emotions. But let’s practice compassion even where there may not be understanding. Dr. Lisa O’Connor is the Deputy Program Officer at Safe Horizon. She has devoted most of her career to program development, research and evaluation, and policy development on behalf of vulnerable populations. She brings experience with child welfare, juvenile justice, substance abuse, and social policy. Dr. O’Connor received a Ph.D. from Columbia University and a BA in Psychology from Smith College.